The City of Brotherly Love is finally getting some affection from commercial real estate investors. Philadelphia, where office properties last year attracted about half the investment of Washington and less than a 10th of Manhattan’s total, is seeing a boom in demand that has sent the average price per square foot to a record. Office sales in the first half of this year more than doubled to $1.4 billion, the highest since close to the market’s peak in 2006, according to New York-based research firm Real Capital Analytics Inc.
Real estate values approaching or surpassing peak levels in New York, Boston and Washington have buyers turning to Philadelphia for its higher yields, rising rents and falling vacancies. That’s bolstering office deals in the fifth-largest U.S. city at a time when Manhattan-like towers have opened with luxury condominiums and cable operator Comcast Corp. is developing a skyscraper that will be the area’s tallest. 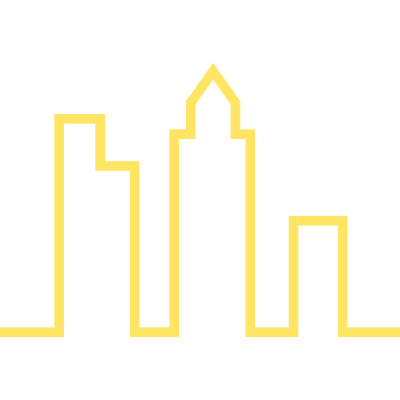 The average capitalization rate — a measure of yield that moves inversely to price — for a Philadelphia office building was 7.5 percent in the second quarter, according to data compiled by Real Capital. 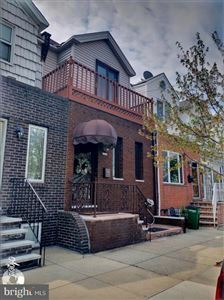 While that’s down from a high of 8.9 percent two years earlier, it’s more than the averages of 4.6 percent in Manhattan, 6.1 percent in Washington and 6.5 percent in Boston, the data show. The average price per square foot of a Philadelphia office building reached $283 in the first quarter, the highest in Real Capital records dating to 2001. Philadelphia has long been overshadowed by its big-city East Coast neighbors to the north and south. Institutional investors such as sovereign-wealth funds gravitate to the perceived safety of New York or Washington, where rents frequently climb faster and values rebounded first in the recovery. Unlike New York, with its heavy concentration of financial, media and technology tenants, and Washington, with its work force tied to the federal government, Philadelphia doesn’t have a single large office-tenant base. Government, universities and hospitals are among the biggest employers in Philadelphia County, according to the Pennsylvania Department of Labor & Industry. The largest public companies by market value with headquarters in the city are Comcast; oil pipeline operator Sunoco Logistics Partners LP; and FMC Corp., a research company in the chemical industry, according to data compiled by Bloomberg. Keystone Property Group, a Bala Cynwyd, Pennsylvania-based company with about 30 properties in the region, has purchased about 5 million square feet in the area in the past couple of years. While investors were seeking to put money in apartment buildings locally and around the country, the company invested in office properties, said Bill Glazer, president and chief executive officer of the closely held landlord and developer. More restaurants are opening and graduates of local universities are sticking around instead of leaving for jobs in other cities, said Bob Walters, an executive managing director at CBRE Group Inc. in Philadelphia. Stuart Weitzman, Swarovski and Ulta boutiques have opened stores in the area around Rittenhouse Square in Center City in Philadelphia. Luxury housing has risen in the area, including 10 Rittenhouse Square, which has a Mercedes Benz car and driver and a pool and a wine storage room. Other retail businesses are also entering the market. Century 21 is opening a store in the Market East area of Center City on Oct. 28 and there has been new construction of apartment buildings and loft conversions. Keystone and Edison, New Jersey-based Mack-Cali Realty Corp. are seeking to capitalize on that buzz through a joint venture that paid $125 million in June for Curtis Center, an 885,000-square-foot office and retail building that overlooks Independence Hall and Washington Square Park downtown. The investors plan to convert 90,000 square feet of the office space into luxury apartments. Keystone also expects to begin construction on a $200 million office, hotel and retail project in the suburb of Conshohocken next year. New office projects are underway in Philadelphia, including Brandywine’s FMC Tower at Cira Centre South. The $385 million building is the last phase of a 2.7 million-square-foot project along the western bank of the Schuylkill River. 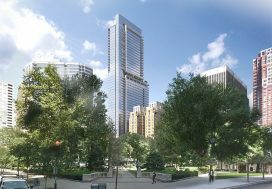 The 49-story tower will be anchored by the headquarters of FMC Corp. The building will have 622,000 square feet of office space and 268 luxury apartments and a bar and restaurant, according to a May 14 statement by Brandywine, based in Radnor, Pennsylvania. 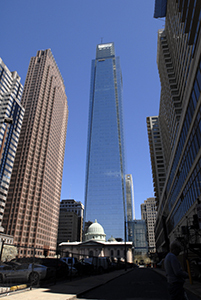 Comcast, the largest U.S. cable company, is working with Malvern, Pennsylvania-based Liberty Property Trust to build a $933 million, 1,121-foot office tower that is poised to be the country’s tallest building outside of New York and Chicago. That estimated cost doesn’t include tenant-funded interior improvements. 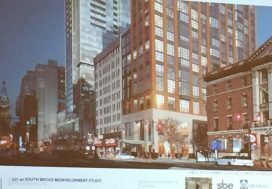 The 59-story tower on Arch Street will include 1.3 million square feet of rentable office space and a 222-room Four Seasons hotel. 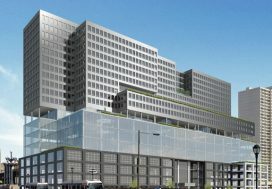 Comcast, whose headquarters is next to the planned building, signed a 20-year lease for 74 percent of the office space. The development is scheduled to be completed in the first quarter of 2018. A “gentlemen’s agreement” for decades discouraged construction of buildings taller than William Penn’s hat atop Philadelphia City Hall, which had been the city’s tallest building, according to a city of Philadelphia website. That pact was broken in 1987 with the building of the 61-story One Liberty Place.